Killeen Animal Services announces it has been awarded a $70,000 grant from the Petco Foundation to support funding that will be utilized to aid the shelter’s ongoing spay and neuter program and the health and care of the animals in need that can be entered into the adoption program. 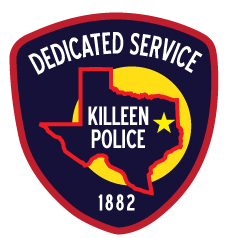 Killeen Animal Services is a nonprofit municipal organization serving the citizens of Killeen, Texas. Killeen Animal Services provide a full range of services that begin with the initial capture or owner surrender of animals located within the corporate limits of the city. Through various programs Animal Services strives to return lost pets to their original owner seek new owners for abandon or stray animals or coordinate with rescue organizations to manage the placement of as many future pets as possible to their new homes. The Petco Foundation investment will provide a bridge to help new pets owners make responsible choices as they bring home their new family member. The Killeen Animal Services will issue a voucher to cover the cost for spaying or neutering the new adopted pet and the rabies vaccination. The shelter will issue vouchers to Return to Owner animals that are not in compliance with the city ordnance. This program will help bring the shelter’s name in a positive venue. Name recognition increases attention and draws more potential pet owners to the shelter. The program aids the new owners fiscally while supporting the cities spay, neuter and rabies program in a more positive manner to promote adoptions. The Petco Foundation’s support for our organization, with this grant will allow the animal shelter to provide Citizen’s of Killeen with a way to have their animals spayed or neutered and receive their rabies shot with minimal fiscal impact. For more information about Killeen Animal Services or the Petco Foundation, visit, www.killeenpetadoption.org or www.petcofoundation.org. Join the conversation on Facebook, Twitter and Instagram or by using the hashtag #PetcoFoundation. The Killeen Animal Shelter was formed in 1975 to meet the needs of the City of Killeen for both animal welfare and the public health. Since opening their doors, they have remained true to their mission in helping all animals in need, regardless of species or breed. At the shelter, they care for and find permanent, loving homes for dogs, cats and other companion animals through adoption and rescue. Their mission is to provide temporary shelter, food, medical needs, and comfort to all strays animals that were abandoned, neglected or injured and brought to us by the community. Our ultimate goal is to restore lost animals to their owners or seek new homes for lost or stray animals. We also seek to educate the public about the humane care of animals with a goal of reducing overpopulation. At the Petco Foundation, they believe that every animal deserves to live its best life. Since 1999, they have invested more than $157 million in lifesaving animal welfare work to make that happen. With their more than 4,000 animal welfare partners, they inspire and empower communities to make a difference by investing in adoption and medical care programs, spay and neuter services, pet cancer research, service and therapy animals, and numerous other lifesaving initiatives. Through their Think Adoption First program, they partner with Petco stores and animal welfare organizations across the country to increase pet adoptions. So far, they’ve helped more than 4.9 million pets find new loving families, and they’re just getting started. Visit petcofoundation.org to learn more about how you can get involved. For further information about the voucher program at the Killeen Animal Services contact shelter manager, Mr. Ed Tucker at 254-526-4455 or by email – etucker@killeentexas.gov.